Today's Education in the media blog focuses on the Race Disparity Audit and Opportunity Areas. Today, Tuesday 10 October, the Prime Minister announced a drive to challenge society to explain or change disparities in how people from different backgrounds are treated. The move comes as the Government has published the findings of its race disparity audit through the new Ethnicity Facts and Figures website. Data from the audit relating to the department shows that Gypsy, Roma and Irish Traveller and Black Caribbean pupils have substantially above average exclusion rates. This news comes as the Institute for Public Policy Research has published a report claiming that each day 35 children are permanently excluded. The racial disparity audit has been picked up widely across print media and broadcast, with The Daily Telegraph linking this to the IPPR report. Any decision to exclude a pupil should be lawful, reasonable and fair – it most certainly shouldn’t be influenced by the race of the child involved. While exclusion can be used as a sanction for schools to deal with poor behaviour, permanent exclusion should only be used as a last resort, in response to a serious breach, or persistent breaches, of the school's behaviour policy. Any decision to exclude a pupil should be lawful, reasonable and fair. 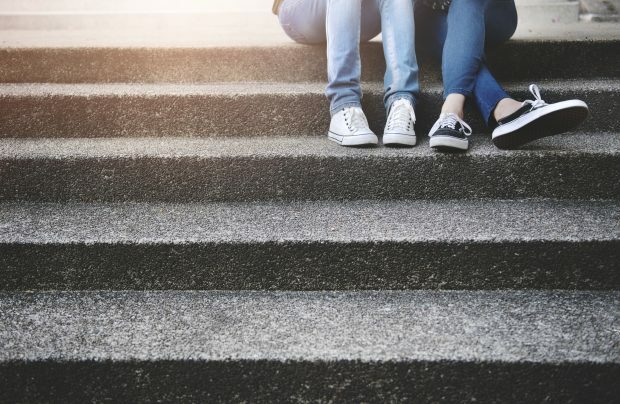 We want to ensure we are focusing on the experiences of students who are more likely to be excluded, which is why we have announced a review to improve exclusions and ensure that best practice is shared across the country. The government has also committed to bring forward proposals to ensure that alternative provision is the very best that it can be and gives every child the opportunity to fulfil their potential. We will look carefully at the findings of the Institute of Public Policy Research report. Yesterday, Monday 9 October, the Department for Education published delivery plans for the first six Opportunity Areas. As part of this, Education Secretary Justine Greening visited a school in Doncaster to launch these social mobility plans, which will raise education standards of pupils in struggling areas. The launch was covered by local broadcast outlets, including ITV Yorkshire and BBC Radio Derby. The Opportunity Area programme – a key part of the Education Secretary’s priority of tackling social mobility – covers 12 areas, identified as social mobility ‘coldspots’. These areas, which have both poor social mobility and schools that face challenges, will receive a share of £72 million to boost opportunities for young people in these communities. We know that providing young people with exposure to the world of work while in education is one of the most effective ways to improve their employment outcomes. That is why we are proud to be leading the charge with over 40 of our economy’s leading businesses. This scale of collaboration with more than 260 schools and colleges in the Opportunity Areas will help ensure young people have flourishing futures and workplaces can access the talent they need. It’s good to see local partners, schools and organisations joining together to improve outcomes for young people. Only through a concerted effort will we be able to make a difference to social mobility in these ‘coldspots’. The need now is to move swiftly from planning to action so that children and young people experience the benefit of this investment. To really have an impact, change has to be informed by evidence. Our Research Schools will be crucial in doing this in each of the Opportunity Areas. They will help to break down barriers so that research does not stay in the pages of academic journals but has a real impact on classroom practice. Allowing teachers to use lessons from what’s worked to inform their practice can make all the difference to attainment. For too long, young people in these areas have been at a disadvantage because of where they are growing up. I want young people living in these areas to have access to a world-class education, that’s why we are setting out our ambition in these first six opportunity areas. As we prepare for Brexit, it is vital that we raise the horizons of young people and give them the opportunity to go as far as their talents and hard work will take them.